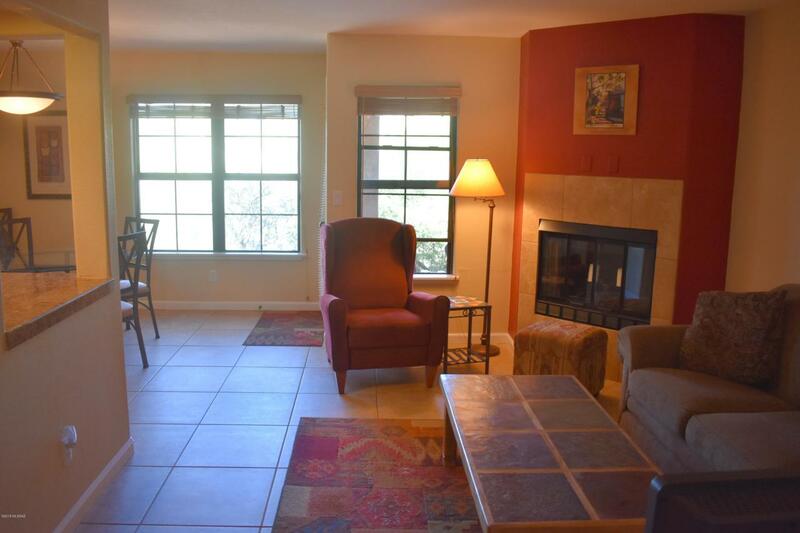 Central Catalina Foothills ground floor condo. 2 bd/2 ba. Totally renovated in 2007. Tile floors throughout. 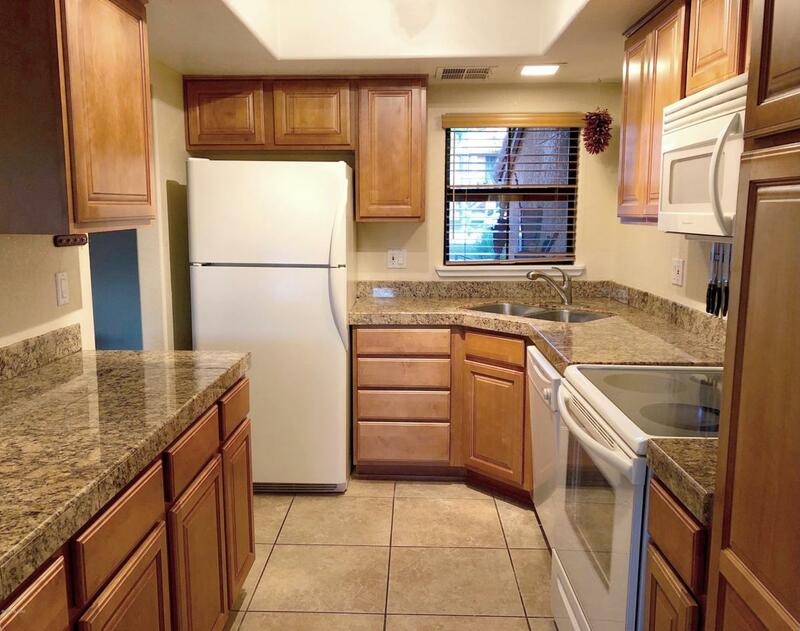 Open kitchen with granite countertops & all appliances. 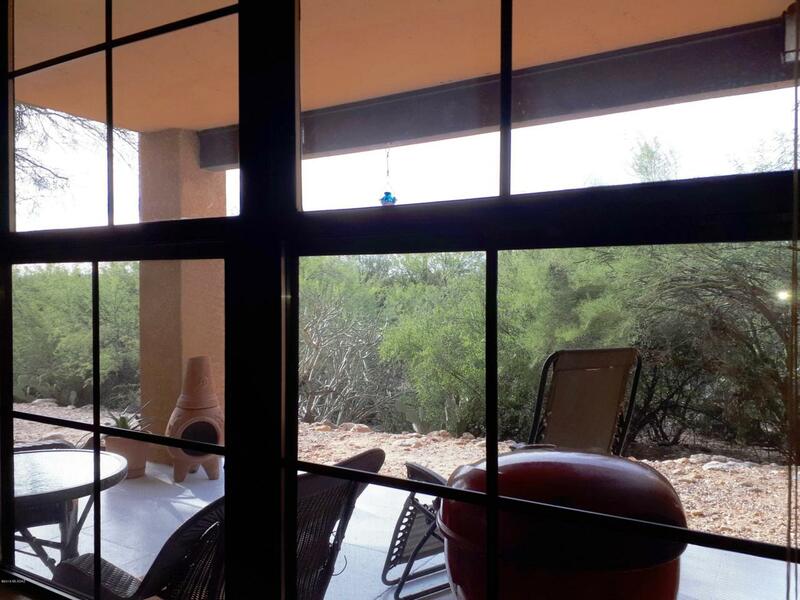 Enjoy mountain vistas, southwest views and amazing sunsets from the quiet and private covered patio that opens onto natural desert. Lots of storage space with walk-in closets in both bedrooms and a storage closet off patio. One covered parking space + guest parking in front of unit. 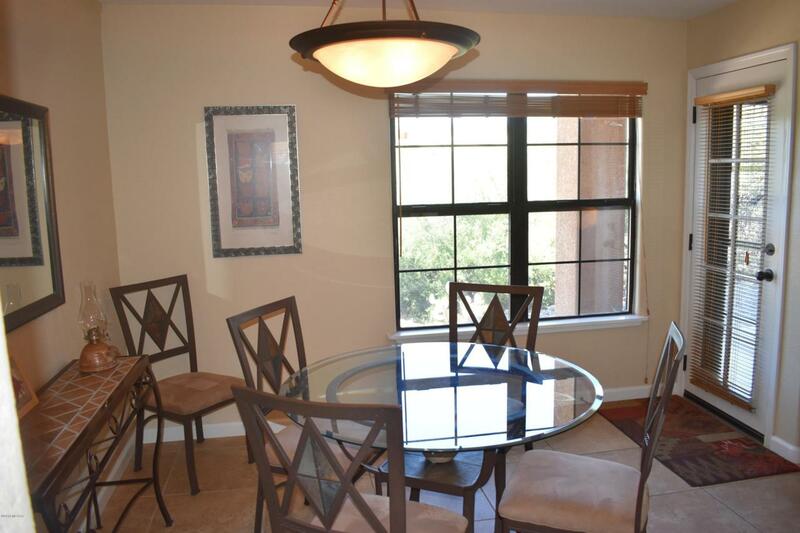 Walking convenience to school and fabulous shopping, restaurants & galleries. Spectacular hiking and golf are a few minutes away. Straight shot to U of A & downtown. Well-kept condominium community with recent new landscaping, painting and roofing of all buildings & upgraded pool, spa, tennis, club house. Turnkey! Available fully furnished.